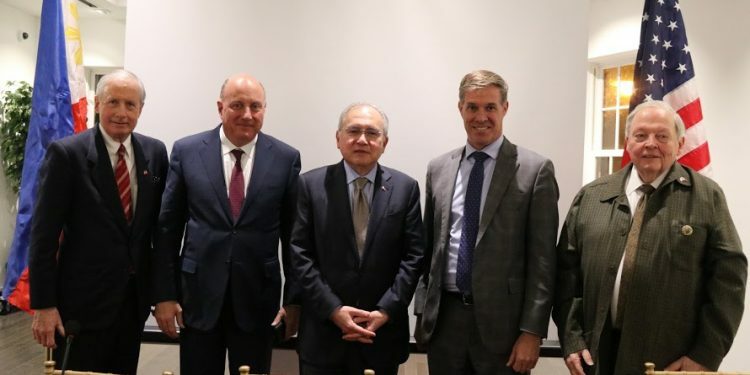 Washington, D.C. – The US-Philippines Society and the Philippine Embassy co-hosted a forum on the “Return of the Balangiga Bells: A Historical Perspective and Significance” at the Philippine Chancery Annex on 22 January 2019. 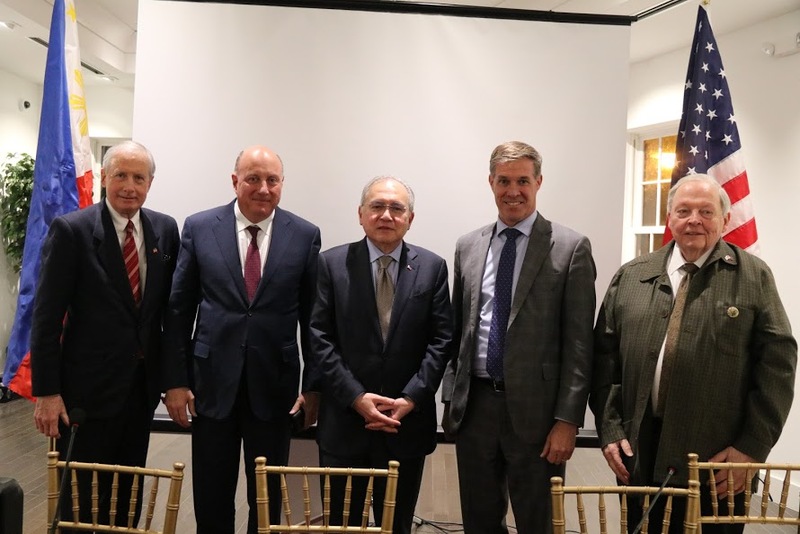 The forum brought together a set of renowned speakers who contributed significantly to the effort of ensuring the successful return, after 117 years, of the bells to the Philippines in December 2018. Panelists included Philippine Ambassador to the United States Jose Manuel G. Romualdez; Deputy Assistant Secretary of Defense for South and Southeast Asia, Dr. Joseph H. Felter; Philippine Honorary Consul to Florida and US-Philippines Society Director, Dr. Henry B. Howard; and US-Philippines Society member Rear Admiral Daniel McKinnon, Jr. SC. USN (Ret.). Congressman Don Bacon (R-NE) provided an insightful legislative perspective. 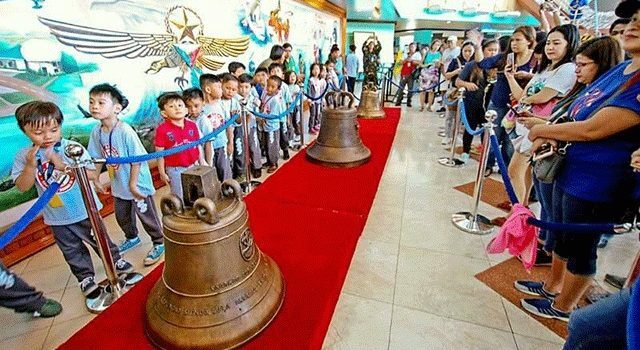 Admiral McKinnon provided background on the history of the bells, while Henry B. Howard and DASD Felter recounted the dedicated team effort by Filipinos and Americans who worked tirelessly for the bells’ homecoming. Representative Don Bacon (R-NE 2nd District) recognized how the bells’ return served to strengthen US-PH friendship and sustain our strategic alliance, and the critical role of congressional support. 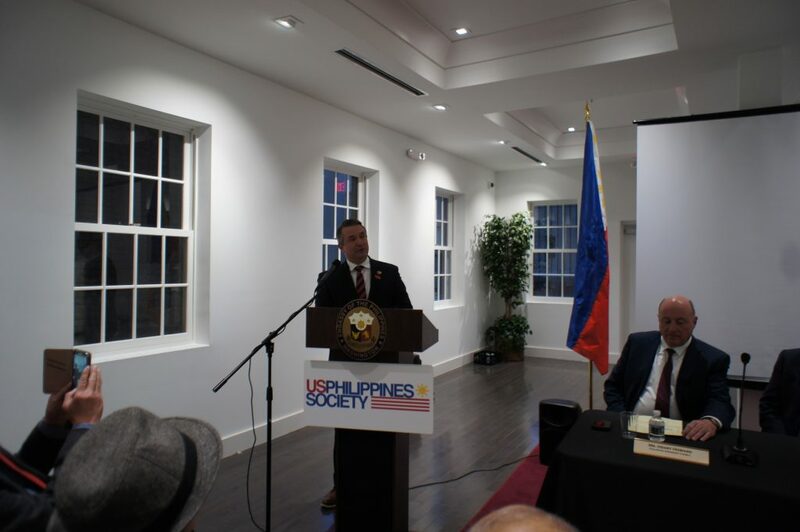 Ambassador Romualdez expressed the Philippine government’s gratitude to the United States for “doing what is right” and further underscored the strong people-to-people ties between the two countries. A Q&A session followed the panel presentation, and a simple merienda concluded the program.